Recently I was asked by my Twitter pal and colleague Tracie Banister, author of BLAME IT ON THE FAME, if I wanted to participate in a Blog Hop celebrating International Chick Lit Month. Jokingly -- at least I think jokingly -- she added something like, "if it's not too girly for you." See, readers who visit every participating blog and collect the Blog Hop's secret words (more on that later) will be entered to win a gift card from Sephora. It's possible that this is a very girly thing. Dunno. Never personally heard of Sephora, and it's probably best I remain blissful & oblivious. Blissful & oblivious. After all of my recent traveling, this is pretty much my default state, so I shouldn't have a problem with this. Anyway, I told Tracie that I'd be thrilled to pen a piece for the Blog Hop. I mean what's wrong with "girly," y'know? Some of my best friends are girls. My wife is the world's very best girl. Most readers of my novel THANK YOU FOR FLYING AIR ZOE are girls. Artists from Kool and the Gang to Motley Crue to Cyndi Lauper celebrate girls with hip-swaying, head-banging, hair-flipping panache. So if May is all about celebrating novels written about, for and by spirited women... Oh yeah, count me in! Even if I am -- *gasp* -- a guy! Not surprisingly, when anyone asks what my novel is about and I tell them, "It's a snap-crackle-pop chick lit kinda story about a grown-up gal's loopy quest to reunite the all-girl band she was in as a teenager," I get a lot of crooked looks. Like I'd said this purely by accident. I swear, there should be a movie a la "White Men Can't Jump" called "Men Don't Write Chick Lit." No, we write taut thrillers, grisly horror tales, and gritty crime novels about down-and-out detectives with questionable ethics. But we definitely don't write chick lit, right? I guess I never got this memo. I tend to miss memos. Sometimes on purpose. It's not a secret in the world of publishing that chick lit is routinely dissed and/or dismissed as a passe genre. The powers-that-be would have the reading public believe that they're tired of Bridget, Carrie and that wacky Shopaholic. Apparently, readers are tired of fun or something, and these days, serious fiction writers shun fun in favor of globally weighty issues. Issues? Please, I have TONS of issues! And furthermore, my chick lit novel actually does dare to practice planetary betterment, as an entire section or two is devoted to educating the audience about the endangered status of Western Australia's Golden Bandicoot. In fact, let's elevate my global awareness Klout score right now... Here is a pledge -- for every copy of THANK YOU FOR FLYING AIR ZOE purchased or won over the week long duration of the Blog Hop, I will donate ten cents to whatever foundation is responsible for the preservation of the Golden Bandicoot. I'd donate more, but this author gig is still a few books away from my retirement party, y'know? But seriously, chick lit fans, I'm sure that having heard ad nauseam that your fave genre is somewhat of an endangered species itself, perhaps you feel a sort of kinship for the Golden Bandicoot? The Offical Animal of International Chick Lit Month? Especially as a male author. Honestly, chick lit men haven't gotten this little respect since Daniel Cleaver back in '96. Undaunted, I pressed on, knowing that I had a fun story to share. And when finally Booktrope took a chance and published the boy who wrote a girly book, imagine my glow when the chick lit community actually embraced my novel! Seriously, before reviews started coming in, I was sort of ready to be skewered, cooked over hot coals, then raked across said coals once mostly cooked. I was light years from my narrative element, yet somehow I was able to connect with readers through my universal story about one woman's quest to achieve rock and roll stardom 25 years past her musical heyday. And you know what? You know what other funny little thing happened as the months unfolded and reviews came in? Men started coming forward to say they enjoyed the novel. So here now is a direct appeal to all men out there in the audience. Join in on the International Chick Lit Month festivities, and maybe you'll be the winner of the $150 Sephora shopping spree. Again, not sure what this entails, equally as unsure if you can find something for yourself at Sephora, but I'm pretty damn certain you could find something pretty rockin' to impress the special woman in your world. And let's get real, men... Aren't we all kind of about impressing women? I mean why wouldn't we be -- women totally rock. So this seems elementary to me... If men adore women, and women enjoy chick lit, wouldn't it be in a man's best interest to pick up a chick lit novel every now and then? And what luck -- there are 34 such novels, written by talented authors from all over the map, right here in this Blog Hop! Speaking of The Hop... I've been asked to share the rules and regulations of the Blog Hop, so here are the pasted instructions. If you have any questions, please do let me know, and I will be sure to immediately shuttle the question over to someone who knows way more than I do. Additionally, as you will see below, if you're interested in entering to win a eBook copy of my novel THANK YOU FOR FLYING AIR ZOE, all you have to do is leave a comment on this blog. 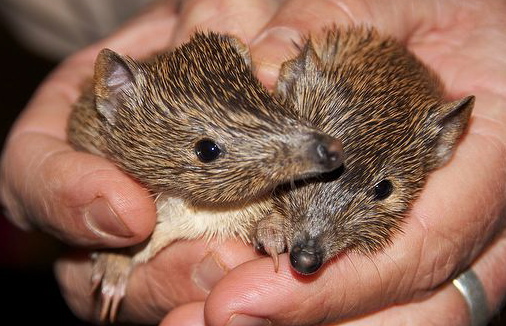 Even if you're not interested, wouldn't you want to at least help the plight of the poor golden bandicoot. We're having a party, and you're invited! In honor of May being International Chick Lit Month, some author friends and I decided to band together to celebrate, promote, and extol the many virtues of this wonderful, entertaining, and underappreciated genre. Chick Lit Author Blog Hop 2012 will be a week-long event, running May 14th-20th, and 34 amazing writers are donating their time, talent, and some very special prizes to make this inaugural event a huge success! Here's how the blog hop will work . . .
Each of the 34 participating authors has written a special Chick Lit-centric piece and these posts will go live on Monday, May 14th. At each blog hop stop, you will have the opportunity to enter to win a FREE Chick Lit e-book from that particular blog's owner/author. All you have to do is leave a comment on the blog post, including your name and e-mail address, and you're automatically entered to win. If you visit each blog hop stop, that means you have the chance to win 34 different e-books! The blog hop will start at Natalie Aaron & Marla Schwartz and end at Jen Tucker. You will find a list of all the stops on the blog hop at each auther's blog. Authors' blogs will be listed in alphabetical order according to last name. In each of the author's blog posts, there will be a "secret word." This word will be italicized, so it will be easy to find. All you have to do is make note of this secret word at each blog hop stop. Collect all 34 secret words and submit your list toCLABlogHop@aol.com before midnight on Sunday, May 20th and you will be entered into the Grand Prize Drawing! The winner of this drawing will receive a $150 Sephora gift card! $150 to spend on make-up, fragrance, bath and body goodies, skin care, and hair products! How fun is that? This gift card can be redeemed online, or at any Sephora store in the US. Winners of each of the participating author's e-books, as well as the Grand Prize winner of the $150 Sephora gift card will be announced on Monday, May 21st. Contests are open to citizens of the United States only. We hope you'll join us for this exciting event! Don't forget to tell all of your Chick Lit-loving friends! The more, the merrier! So there you have it! And lastly, below is a list of authors participating -- be sure to check 'em out, good luck with the hop, and Happy International Chick Lit Month! Even if you're a dude. You are hilarious! If your books is as fun as your blog post, I will definitely enjoy it. Thank you so much for participating in the hop. You're very welcome -- thanks for reading! LOVE your blog post. You, as Rhonda said, are hilarious. And if your book is as much fun as this read here, then bring it on! And kudos to the man writing chick lit! Thanks for the hop and blog post! 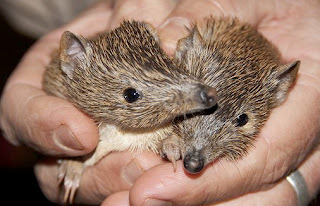 I love that you are bribing us with the cutest little picture ever - I want a Bandicoot! Love the post! Count me in! Happy to hear you didn't let anyone stop you from publishing your chic-lit triumph! The Bandicoot has nothin' on you! Not sure I'm qualified to follow a blog hop since I clearly can't follow instructions. Here's my email address: abcdsherman at gmail dot com. LOL Loved your post! Too funny!! Thanks, Lisa -- the hop was a whole lotta fun, and I'm glad you got a kick outta the post. LOVE men Chic-lit writers! Great job! Thanks for being in the hop! You mean there are more than like two of us? :) Thanks, Theresa -- was a pleasure hopping! My brother says that I dress like a rock star even thought I'm an english professor. He finds that unacceptable. I find him unacceptable. When I saw youre name I wondered if you were a guy. That's actually pretty cool & makes me want to check out your book! Thanks for your interest & I hope you enjoy the novel if ever you read it! Erik, you intrigue me, which alone would make me read your book. I loved The Wedding Beat by Devan Sipher, another guy writing totally outside what is expected from guys. I'm thinking Air Zoe might be cool. Congratulations, Patricia -- Random.Org selected YOU as the inner of the eBook! Please send me an email at the address on the right side of the page or leave instructions here on how I can get a copy to you! Cheers -- Erik! Any one can do any thing ;) I haven't read any of your work yet but I am intrigued to say the least! Thank you, Kassandra -- I hope the work lives up to your hopes for it. Actually, I hope it surpasses them, but I'll be cool with matching them. I'm totally thrilled to hear this... :) Thanks, Erin! thanks so much for participating in the hop! I love doing hops to find new authors/series to add to my TBR list and yours is going right to the top! I've seen this book several times now and it's totally on the TBR list - you rock! You are my first man chicklit author, so I will read your book just to see if you live up to the female authors. lol. Haha... Thanks! Big shoes to fill. Hey, thanks... I saw a job opening for Dude CL Author, so I took a flyer on it, and ohmigod, the totally hired me! Been a great ride -- thanks for reading the post! Now I don't only know a male that reads chick lit but I have a male author to add to the list. wait til I tell this guy. when he goes into the store and purchase his books, the ladies think its so cute that he buys his wife so many books and they assume it and he corrects them and then get stares. lol. That's hilarious. :) Hope you & he both enjoy if you ever get the opportunity to read it! You are funny!! Can't wait to read your book. Thanks, Mary Jean! -- hope you enjoy! Here's hoping I'm lucky on this hop! Thank you for another opportunity to win! Well darn... Random.Org just didn't cooperate, huh? Sorry, Margaret -- maybe next time? Hoping to run more giveaways over the summer! looking forward to winning a FREE Chick Lit e-book! i have seem to become a book whore lately! love it, guys writing for women! Haha... Well, I wish I had better news to share with your inner book whore, but sigh, Random.Org saw otherwise. Maybe your inner book whore will take to a $2.99 price tag? :) Cheers & thanks for reading! The first thing that comes to my mind when I finished reading this post is HYSTERICAL. I absolutely enjoyed your sense of humor mixed in with reality of chick lit sometimes being gender opinionated regarded some of their authors. Im glad to have come across this hop. Thank you so much -- really appreciate your comment. And I likewise was glad to be included in the hop -- was great fun! Love the voice in your writing-- genuine, realistic and humorous! Your book is now on my summer reading list. LOL, very cute. I'd love to read your book. Thanks, Lauren -- let m know if you ever get the chance to read it! Your book sounds great. Thanks for the giveaway. My pleasure, Joanna -- thanks for reading the post! I would bet that it does... but I'm biased and can't be trusted! Busy beyond belief here at the moment, but I do plan on announcing the winner of the eBook giveaway through a random.org drawing here within the next 24 hours, so stay tuned and good luck!